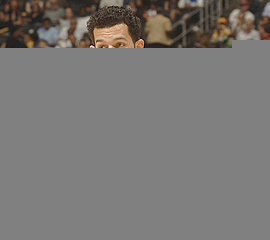 Currently in his fourth season with the NBA champion Los Angeles Lakers, Jordan Farmar was drafted by the Lakers following his sophomore season at UCLA, where he had earned National and Pac-10 Freshman of the Year honors in 2004-05. The following year, he led the Bruins to the NCAA finals. In just two high school basketball seasons, Jordan scored more than 2,000 points, and was named Los Angeles Times Player of the Year, L.A. City Co-Player of the Year, and California Interscholastic Federation L.A. Section High School Player of the Year. He was a Parade Magazine 2nd-team All-American, and USA Today named him a ‘Super 25’ selection. Jordan first came to the attention of the Southern California Jewish Sports Hall of Fame when the Taft High senior was named the So. Cal Jewish High School Athlete of the Year. At Taft, he led the Toreadors to its first L.A. City Championship.